The comment comes after Mr Peters, who is also the country's foreign minister, slammed Australia for deporting New Zealand nationals without trial. SYDNEY-The acting prime minister of New Zealand accused Australia this week of copying his country's 116-year-old flag and demanded that Australians come up with a new design. Before 1901, New Zealand was considered a colony of Australia, and its name even appeared on the Australian Constitution. Non-citizens can fail the test if they have a criminal record that is substantial, for sexual abuse involving a child, have been a member of a criminal gang, involved in people smuggling, or if their conduct "shows that [they] are not of good character". 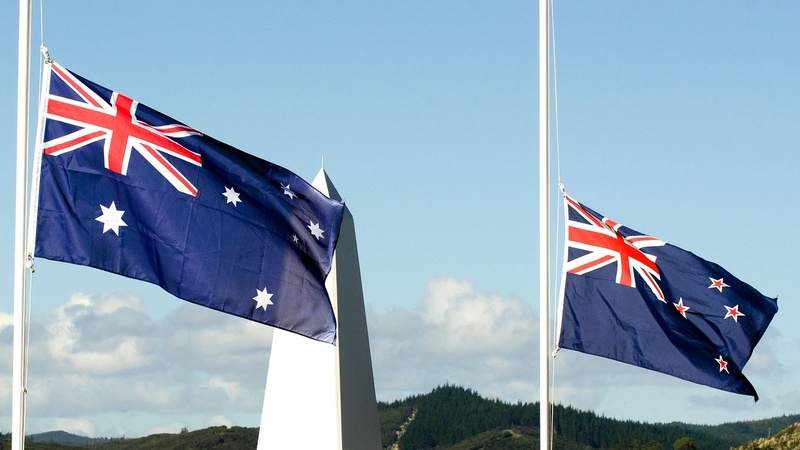 Both New Zealand and Australian flags are dark blue with the Union Jack emblem in the top right corner - the Australian version has six white stars, while New Zealand's has four red stars. "My only request to New Zealanders now would be to rally behind the flag that's been chosen", he said after the 2016 vote. That was an awkward discovery for then-Prime Minister John Key, who had pumped the time and money into a design competition for a new flag and a referendum on choosing one. "Our flag has for a long time, copied by Australia, and they have, in fact, change your flag for the reason that we first did this design, which was approved by the Prime Minister and his heritage", quoting a local TV channel TLVZ Peters. Australia's flag was adopted 52 years later on April 14, 1954. Though various versions of the Australian flag have been used since 1901. Winston Peters speaks during a media conference in Wellington, New Zealand, September 27, 2017. In 2016, New Zealand failed to change its national flag following a referendum that cost the country $US17 million. In an interview with ABC earlier this month, New Zealand Justice Minister Andrew Little said Australia's deportation policy and treatment of certain New Zealanders is "certainly not consistent with any humanitarian ideals that I thought both countries once shared". As for the history behind the flags, the two countries feature the Union Jack as a reference to their British history. New Zealand's features four five-pointed, red stars to represent the Southern Cross.